📅 October 2018 December 19, 2018 by Bruno B. 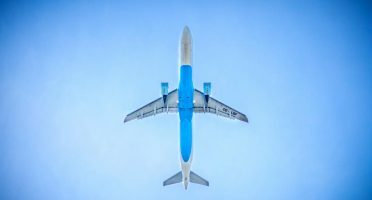 This article is a comprehensive list of all the items and travel accessories that make your life easier when you are on the road. Based on my personal experience and the latest trends out there. How many have you got already? Let me start by saying I’ve seen many articles about “must-have” travel accessories out there that made me laugh out loud. These list-of-things-you-must-have-but-actually-you-dont-need-at-all include everything from wine bags and tampon flash drives – to luxury camping hammocks. I’ve already addressed some of them on my article about what to bring for 2-month backpacking trip in Asia and on my favorite travel gear on my resources page and on my online shop. Now I’ll be more detailed. The travel items below are supposed to save you either space, time and/or money and make perfect Christmas or birthday gifts. Let’s go! But maybe you don’t need tampon flash drives. 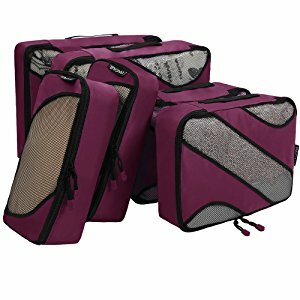 If you’ve no idea what to get, a basic Amazon organizer does the job. Compact, secure and with lots of space for all documents and cards. What else do you need? I’ve got a confession to make. I’m a mess at packing. Once I arrived at my destination, my luggage quickly becomes chaotic piles of clothing. Not to mention finding specific items is almost impossible. That’s why I’m not exaggerating when I say this was one of my best travel purchases EVER. These little helpers makes any packing – and unpacking too – much more tidy and neat. A must for any modern traveler. Say goodbye to messy packing. 3 different sizes to pack your clothes. Oh, the enjoyable security lines in airports where everyone is forced to show off their guts and keep liquids to ridiculously tiny amounts. This is where travel bottles can be of huge help and save some money. Note: The standard in airports worldwide is for containers in carry-on bags to not surpass the 100mL / 3.4 oz of liquid each. Pretty much any container with the right capacity will do, but squeezable ones like this set have extra points for functionality. Don’t you find it astonishing the amount of SD Cards, cables, plugs and adaptors we travel with nowadays? Usually, one of the pockets in my backpack is exclusively dedicated to these “accessories of accessories”, but it soon can become a huge mess. Unfortunately this potential mess won’t be over soon in 2019. An electronics’ organizer helps keeping everything neat and organized. Look for an waterproof one like this to add extra protection. I only use trolleys or conventional luggage in short urban getaways. 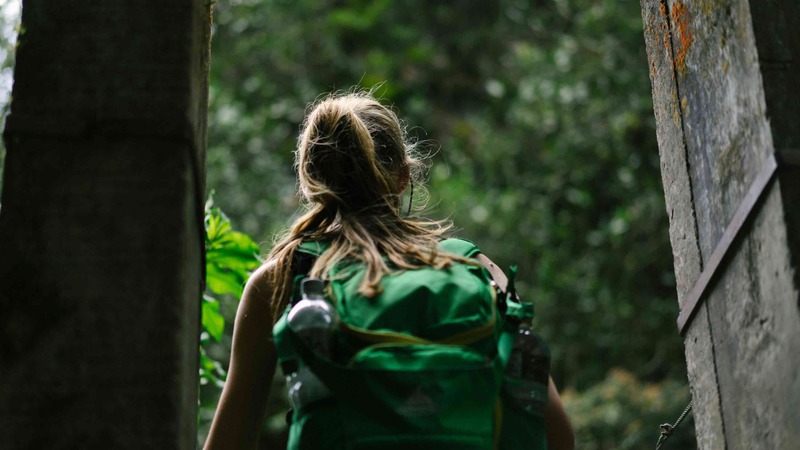 In most destinations, carrying a backpack or duffel bag is more comfortable, convenient and efficient than a luggage. On my article about backpacking in Asia, I have a whole section about the important features to look for in backpacks. For my trip to Japan, I recently bought this The North Face’s duffel bag. You can use it both as a handbag and as a backpack which makes it super versatile. Absolutely love the build quality and material of this thing. It doesn’t come cheap, but is durable and comfortable on your back. They have several sizes too. Backpack: a true symbol of the freedom of travel. 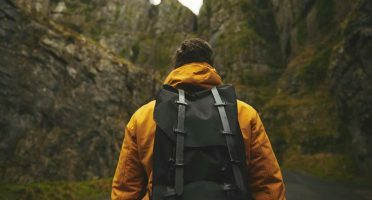 Whether you’re going urban or rural, to a beach or to a mountain, a backpack is essential to carry the usual vacation stuff throughout your day. Make sure you go for an unassuming (and basic?) backpack on the outside, but functional on the inside. This one is a good example. This way you can keep your stuff organized without drawing attention to precious stuff like laptops or DSLR cameras. My travel shop on Amazon with all you need for a smart and hassle-free travel. Depending on where your destination is, this can be essential. A good adapter will provide you with all the possible outlets worldwide, ensuring you always stay charged abroad. What I love about this particular adapter is that comes with 4 USB ports, so you can potentially charge 5 devices at the same time. Works in 150+ countries. If the previous item has not enough 5 USB ports, invest in a multi-USB port. Let’s be honest, it’s the 21st century – who hasn’t faced the true first-world problem of not having enough power outlets to charge all the devices? Some hotel rooms are scarce in outlets and simply can’t deal with all the charging needs of a modern day traveler. With the USB port type on the rise across gadgets, this problem will just become more frequent. 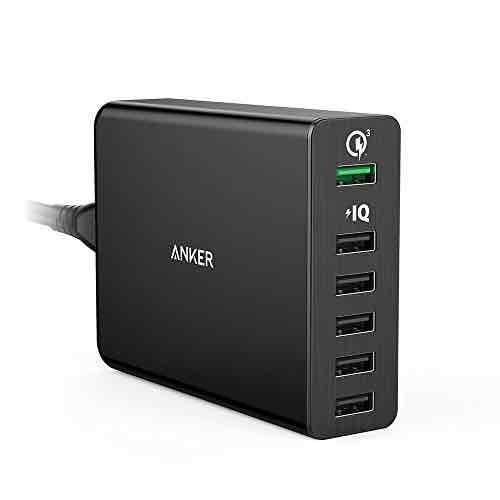 A multi-USB hub charger can be the solution, particularly if you’re traveling in a group. Conveniently charge all your devices at once with this compact USB hub. One of the 6 ports is equipped with a fast USB charging technology (up to 4X faster than standard chargers). Since I’m always traveling with a lot of gadgets with me or traveling within a group, getting all the devices connected is a pain. 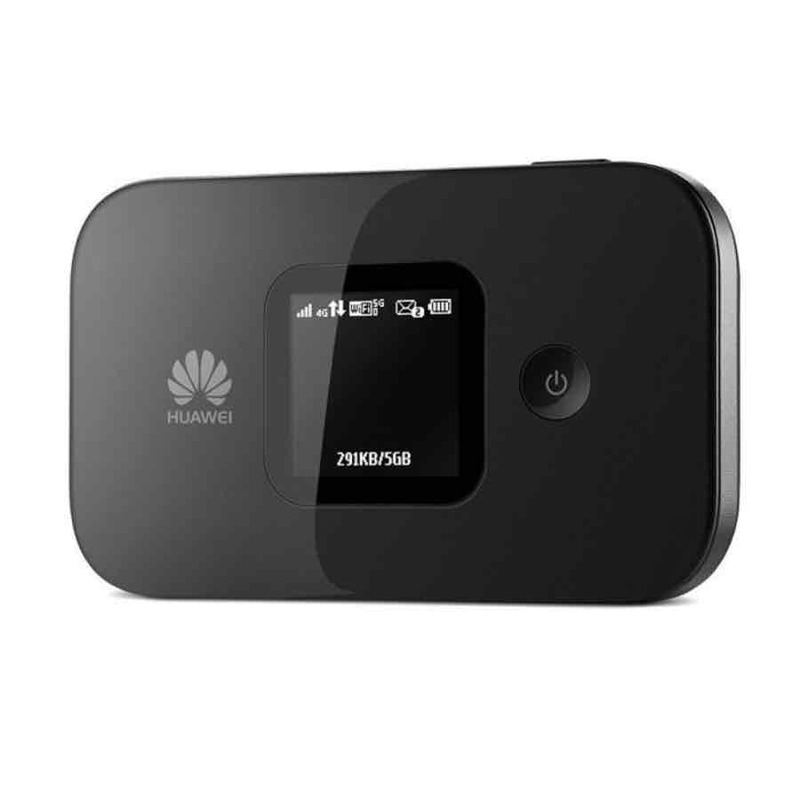 A mobile router unlocked to all networks is a game changer: reliable, easy to use, and a potential huge money-saver. An important thing to look at is the list of frequencies the device supports. Mobile operators in each country use different ones and their SIM card will only work in that range of frequencies. My previous hotspot didn’t work with ANY operator when I traveled to the US! Even though we are planning to send men to colonize Mars, for some reason manufacturers still refuse to launch phones, cameras and other devices with batteries lasting for days. Result: everyone needs extra juice when on the road. Invest in a compact and potent device. Everything below 8,000mAh is pretty much not worth it – remember they tend to lose capacity over time. Here’s a list of power banks to get you started. With 22000 mAh capacity, this power bank is guaranteed to give you battery to charge your devices for days. Perfect if you’re going into the wilderness. Smartphone cameras are getting incredibly powerful year after year and have the advantage of being lighter and more user-friendly. One day they will be able to fully replace a digital camera. That day hasn’t come yet. DSLR and mirrorless cameras are still superior in features like optical zoom. If you are into photography and want to take top-notch pictures, you should consider investing in an extra camera. Now of course there are cameras (and lenses) for all budgets, but for traveling size does matter so aim to buy something compact and light. I have my old Nikon Coolpix p610 for a couple of years now, but there are newer more powerful options on the market with optical zoom up to 83x!. This is my current camera. Compact, with an incredible 60X Optical Zoom, built-in GPS, and WiFi. It’s far from being the state-of-the-art, but I’m still happy with it! Smaller than most DSLRs, taking staggering 24MP photos and very intuitive to use with WiFi and NFC connectivity, this is a great camera for beginners. I once thought a GoPro was only for snowboarders or crazy people who jump out of buildings. Indeed, GoPro is a perfect fit if you’re into any kind of adventure sports. But I’ve been amazed by the versatility and creative potential of this little action camera. Since it’s so compact and easy to function, you can also create cool-looking videos of more standard vacations (no more shaky videos!). Dynamic activities – whether you’re surfing, skiing or zip-lining, there’s nothing better than a GoPro to capture the moment. Underwater videos also look DOPE. 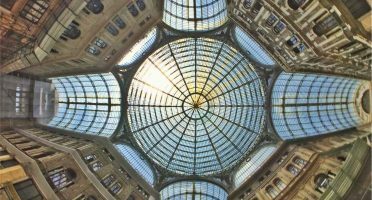 Big attractions – monuments like the Sagrada Familia in Barcelona or the Burj Khalifa in Dubai are impossible to fit the frame of a single photo/video. Until you use a GoPro. Memory videos – if the hundreds of photos you take on your trip remain on a folder in your computer they’re just worthless. And if you decide to show them to family and friends you’re just killing them of boredom. A short dynamic video made of GoPro clips is fun, engaging and enjoyable. For the new version, GoPro improved the video stabilization and the voice control and you can still take 12MP photos and film 4K HD videos. It’s now also completely waterproof (up to 10M). If you’re on a budget or simply don’t want to carry around another gadget, have a look at wide-angle lenses for your smartphone. Pixter has a SuperFishEye that might do the job for you. Here’s my review after a day using it in Barcelona. Keeping your belongings safe is a major concern whenever you’re going to less safe places. Personally, it was useful in the craziness of Naples and specially in Rio de Janeiro, where safety is the #1 concern. The thing is: any big city nowadays suffer from pickpocketing and bag-snatching issues at some level. 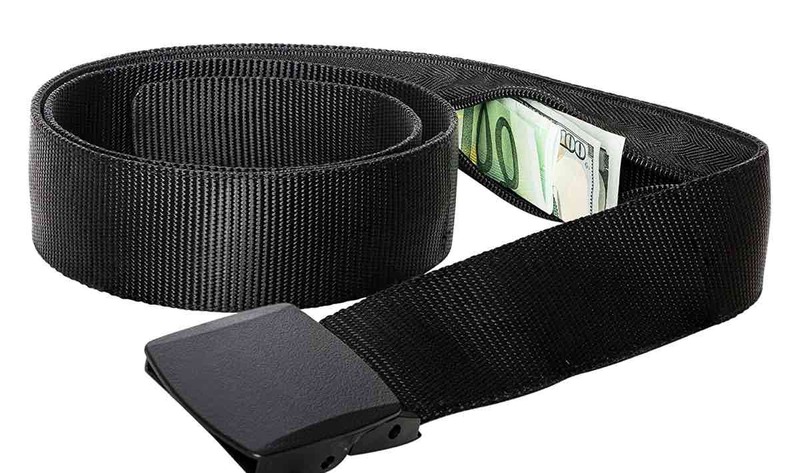 A money belt is an inexpensive way to keep your pocket money and even some documents invisible at all times. It’s often overlooked and one of those things you don’t realize it’s useful until you need it. Depending on where you’re heading, a padlock can be tricky to find. It’s a simple way to add an extra layer of safety whenever you are away from your stuff. I especially recommend packing one if you tend to stay in hostels or need to ditch your luggage between check-out and your flight back home. 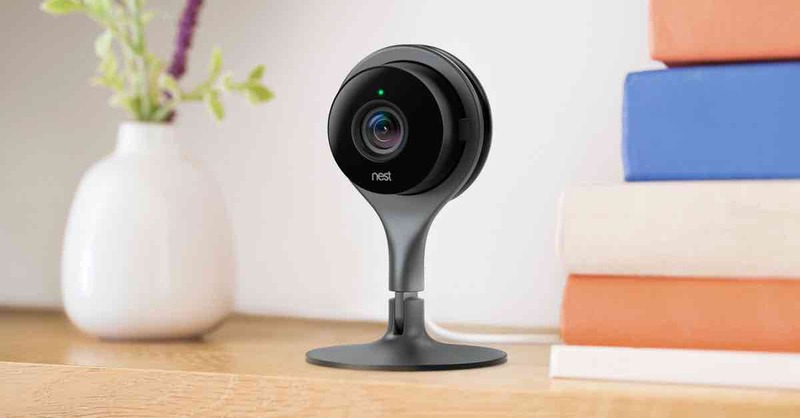 A Nest security camera can give extra peace of mind when you’re away. Nowadays there are plenty of options for affordable home security cameras that send you email or phone notifications whenever there’s movement detected. The most popular is Nest with a range of outdoor and indoor solutions. Extra peace of mind and allows you to take quick action if unwelcome visitors decide to show up. Let’s talk about hygiene which is also a way of staying safe. For years I’ve underestimated the effect of hand sanitization. Some even say most food poisoning cases are caused by dirty hands rather than the food itself, which makes me feel a bit uneasy! The truth is keeping your hands germ-free with a gel like this regularly is a great idea. You may not realize, but you’re touching all kinds of stuff when you’re traveling. This is the first layer of protection you have for viruses and bacteria causing all kinds of diseases. Full disclaimer: I haven’t tried this product. But I’m very interested because 1) it’s a spray, not a gel 2) the long-lasting effect of 24-hour protection! Plenty of the accommodation places I’ve stayed in don’t provide bathing towels. Specially in Asia. When they did, they charged for them as a first-necessity item they are. A simple microfiber towel like this one does the job, does not occupy much volume and dries super quickly. Plus, it can double as a little blanket! In spite of its tiny size, it absorbs water effectively and dries fast afterwards. Super handy while you’re traveling. Not only compression socks keep your feet warm, they also improve your blood circulation and make your legs feel less tired after much sitting or standing. It’s not the most stylish of accessories but they can make all the difference in that long-haul flight. A water purifier bottle is an obvious asset to have in third-world countries where tap water is not drinkable. 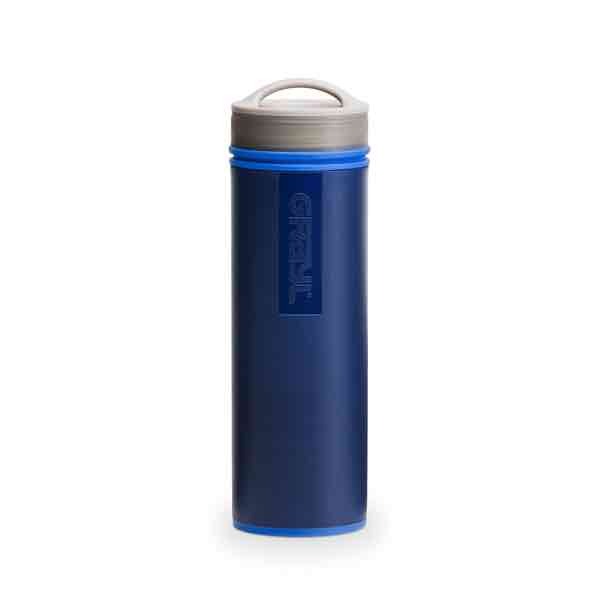 But even in countries where tap water is drinkable, having an extra purifying bottle is useful. Apart from avoiding always have to shop for plastic water bottles, it’s much more environmentally conscious. I predict this travel item will become more and more of a thing amongst travelers in 2019. I can assure you those are not my hands. Tablets are getting thinner and lighter which makes them a great alternative to packing a bulky laptop. It’s perfect to watch movies, plan your daily itinerary or even sketch/draw landscapes you don’t get to see every day. 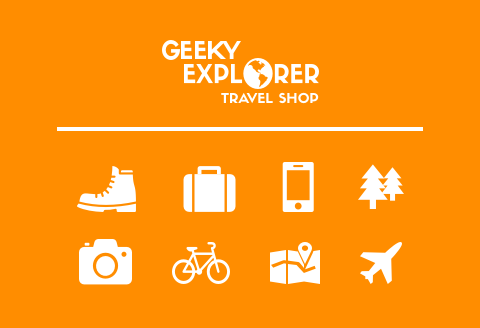 Not to mention take advantage of some cool and useful travel apps. Just please don’t use it to take photos, that just looks silly. Make no mistake: an iPad is not for everyone. 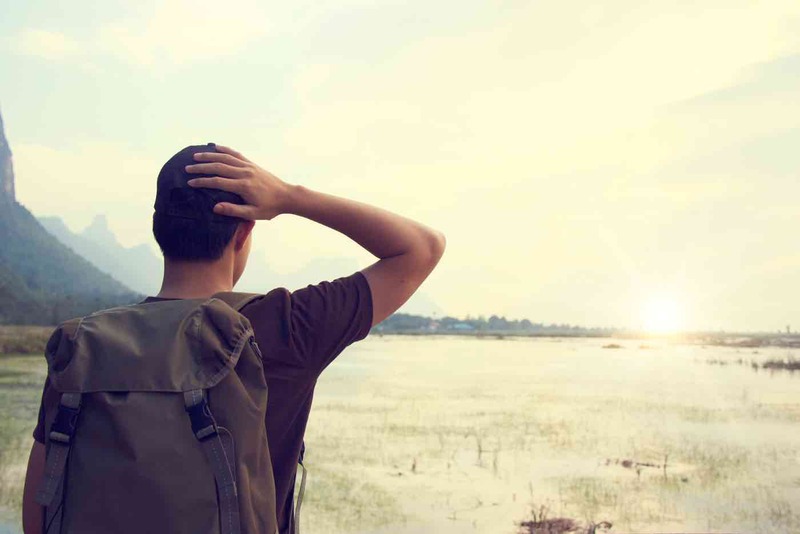 If you’re looking to disconnect on your travels, you should look into taking the least amount of gadgets possible. On the other hand, if you’re doing a longer trip but still don’t want to take your laptop, an iPad can be very useful. From my experience, they blow out the competition in reliability and CPU power. The new iPad Pro might be too much (in both size and specs) for the standard traveler but you can’t go wrong with either the iPad (2018 version) or its smaller brother, the iPad mini 4. Your computer away from home! With 9.7″ Retina display, 128GB of capacity it’s guaranteed to give you many hours of entertainment on the road. A jack splitter basically shares the sounds between 2 (or more) headphone sets, so you can watch that movie with your SO or friend sitting next to you. 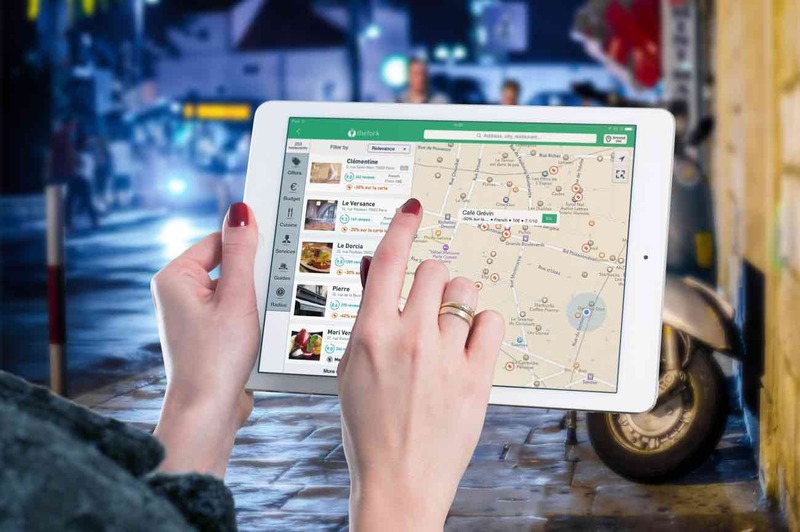 It can also be useful to share audioguides of attractions and museums. Even though the tendency is Bluetooth phones, in 2019 shared-Bluetooth won’t be a mainstream feature yet, so little buddies like this still have time to prove its value. If you are into reading, a Kindle is a great option to bring lots of books with you without occupying much space. I recently got into the habit of reading books during my travels which is great to 1) pass time on trains and planes 2) learn new perspectives on the country’s culture. The Paperwhite version is waterproof and has a 300 dpi glare-free display allowing you to read on the beach and in bed at night. Plus, a single battery lasts weeks! As important as the items to bring with you, are the things that can you save a lot of trouble back at home. First of all, don’t forget the members of the family left behind! Pet feeders are great for cats, rabbits and hamsters when you’re away for a short period of time. Don’t neglect plants too. A plant waterer can avoid you getting back home to a dry foliage show. 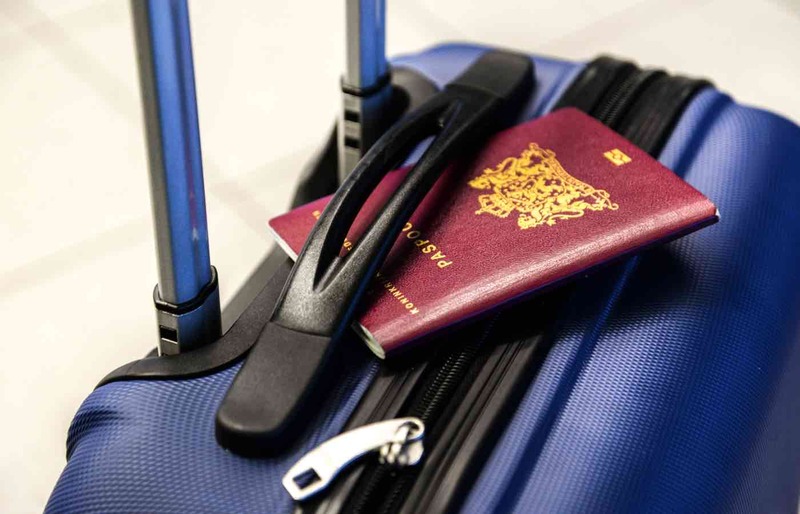 Which travel accessories you just can’t live without when you’re abroad? Share your favorites so I can add them to the list!